The Prefecture of Shizuoka is home to the largest number of tea farms and produces the greatest amount of tea. For this reason, it has been referred to as the capital of Japanese tea. It is also a popular destination for tea tourists and many of the fields also offer a view of Mt. Fuji. 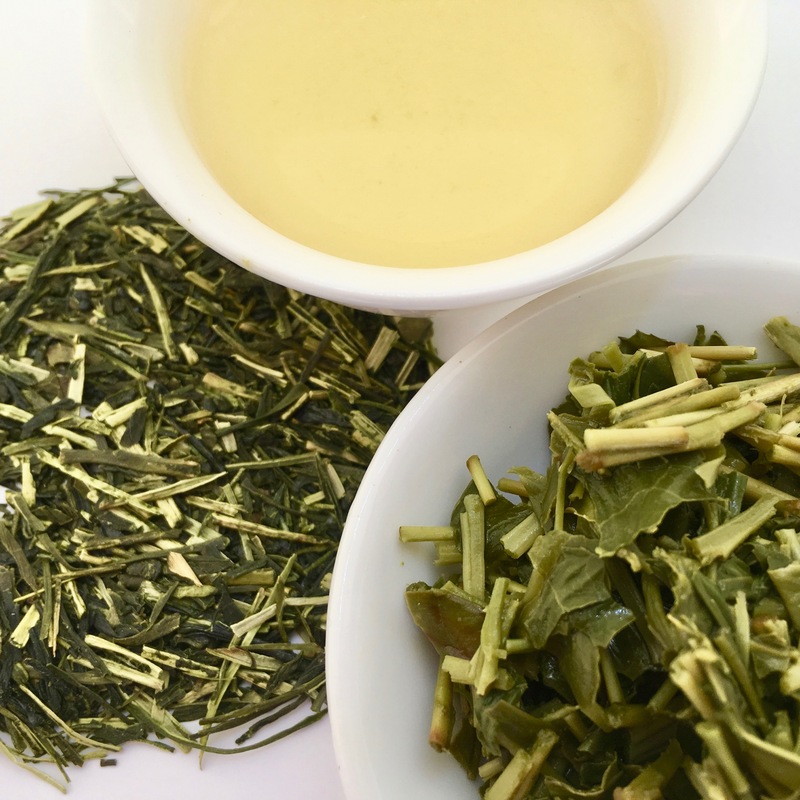 There is a strong influence from the ocean breezes that contribute to the unique flavors of teas from Shizuoka Prefecture. But there area also great diversity in the tea growing regions. Some areas have a great deal of sun while others are characterized by heavy morning fogs. These microclimates, to a very great extent, determine which is the preferred type of tea that the farm will produce and give each unique flavors and qualities. The Shizuoka prefecture is home to Mount Fuji, Japan’s highest mountain, venerated in art, literature, myth, and cultural identity as Mount Olympus was to the ancient Greeks. 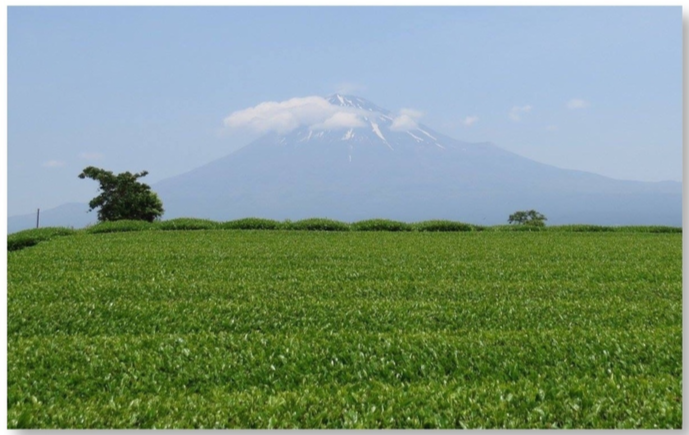 Shizuoka is also produces the greatest percent of tea produced in Japan with approximately 45% of the national crop. Shizuoka is also well known for it’s centuries-long craftsmanship in sensuji, or bamboo ware. As with most of Japan, the region is principally Japanese, although some areas have significant Nikkei (South American) populations, where it’s more common to find signs written in Portuguese than in English. Long favored by such artists as Hiroshige (Thirty-six Views of Mount Fuji), Shizuoka is blessed by an abundance of natural beauty and bounty, as it follows the Pacific coastline both north and south of Suruga Bay. Equally notable, the period of peace that accompanied feudal lord Toyotomi Hideyoshi still influences the culture of Japan’s modern era, where the samurai’s bushido psyche, the importance of education, the scope of religious traditions, and the value of the arts are strongly felt. Shizuoka’s climate is ideal for growing tea, with a humid, subtropical climate and abundant mist and rainfall. Despite the close proximity to mountains and the ocean, the capital city of Shizuoka is the sunniest major city in Japan, due to its sheltered location. Shizuoka has been populated since prehistoric times, and throughout Japanese history has been a locus for many important milestones, in the arts, politics, and religion, notably when in the late 16th century Toyotomi Hideyoshi ended the “Warring States” period and created a Japanese renaissance, along with the Tea Master Sen no Rikyū, who developed chanoyu, (the Japanese “Way of Tea”), popularized the philosophy of wabi-sabi (embracing the beauty of the natural, of imperfection, of transience), and his creation of raku pottery. Kukicha usually goes by the nickname, Twig Tea. But it is also called bōcha. It is made of broken leaf and bits of stems and some of the soft sections of stalks or the “twigs”. This gives it a lighter flavor. A bit sweeter. And less astringent. It can also be thought of as a byproduct of sencha or matcha tea production. A similar tea, Karigane, is the byproduct of Gyokuro production.